After starring in the Harry Potter film series, Josh Herdman has now become a surprising addition to the MMA world. We spoke to the 28-year-old fighter about his transition to mixed martial arts. After spending the best part of your youth starring in the Harry Potter films – one of the biggest movie franchises of all time – what do you do with your life when it's all over? 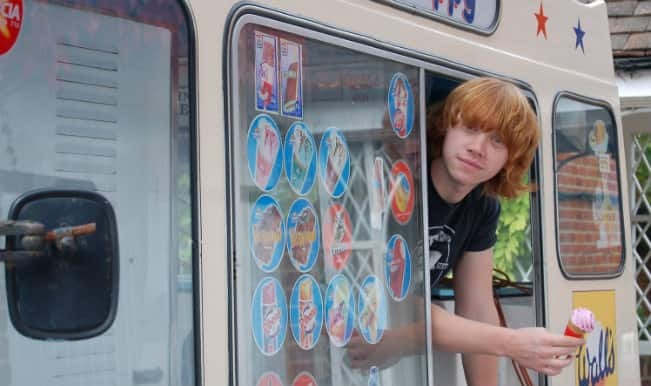 Daniel Radcliffe got naked on stage for a bit and is now a relatively decent rapper; Emma Watson has been championing women's rights; and Rupert Grint bought an ice cream van. But Josh Herdman – who played Draco Malfoy's pure-blood henchman Gregory Goyle in all eight of the films based on J.K. Rowling's novels – did something no one could have predicted: he set aside his wand, picked up some gloves, and stepped into the octagon. Having recently won his first amateur MMA fight at Rise of Champions 2 – "I nicked it in every round. It was 29-28, 29-28, 29-28. So it could've gone either way" – Josh is now part-time actor, part-time cage fighter. "It's always been a goal of mine to be in the cage," Josh tells me. "I'd just finished filming [Harry Potter and the Deathly Hallows: Part 2] when I started training. I've been training in Japanese jujitsu for nearly five years. But I decided to focus all my attention into [MMA] this year, so I've really been doing it four or five months." Josh's new career choice might come as a shock to some, but a quick glance at his family history makes it easier to understand: "My dad was a professional boxer, so he taught us how to punch from a young age," he explains. "I'm confident with my punching and my boxing, but I think I'm strongest on the ground." It's very much the family business: Josh has two brothers who have boxed at amateur level. So when it came to sibling disputes in the past, who emerged on top in the Herdman household? "Oh, they did all the time. I got terrorised as a kid," he laughs. "You know, it makes you who you are – getting all that sibling stuff, getting bullied a little bit. It got me quite tough for school, quite thick skinned." Studying a professional fighter before the bell tolls, most give the impression of being pumped, excited, and free of nerves. Personally, if I was about to step into the first cage fight of my life, I would be bricking it. But, rather than being a sign of my inherent weakness, Josh reckons those feelings are totally natural: "You're definitely nervous. My trainer psyched me up beforehand [with] a lot of breathing techniques and exercises. I was quietly confident that I had the ability to win the fight, so I stayed in touch with the nerves. There was a bit of fear. I was staying very in tune with it, because I think you need it." What goes through Cristiano Ronaldo's head as he steps up to take a freekick? Or Lewis Hamilton's before the lights go out on the grid? They're not around to answer, but we can ask Josh Herdman what went through his head during his first MMA fight. Not a lot, as it turns out. "When it's your first fight, you can't really think. I wasn't really thinking, 'Go for the takedown, get him on the ground and then work him on the ground.' All I could really think about is that I'm being punched in the face! It was weird. I couldn't think of anything else. It just turned into a scrappy punch up by the end of it. But it was still quite entertaining to watch, I think. "I've been told by a lot of people that as soon as the bell rings, the fear goes. But I didn't notice that; I still had the nerves and was very in touch with them." The other fighters who took part in Rise of Champions 2 probably didn't spend their teenage years shooting movies with a huge global audience. Did the notoriety from his acting mean that other competitors treated Josh differently? "I didn't think that I was recognisable. I don't get recognised much at all. If I do, it'll be by a Harry Potter fanatic, and there aren't many of those in the MMA scene! "So I was kind of wanting to go into it anonymous. Then I went to the weigh-in the day before the fight, and they were all smiling and saying 'Oooh Harry Potter!' That was exactly what I didn't want. "You just have to smile. It never bothered me. I felt a little bit of pressure to do well [in the fight] – not to get knocked out!" Josh goes on to tell me that he's experienced this kind of thing before: "It bothered me at school. When I went back from filming in year 9 or 10, the little year 7s and year 8s would be screaming 'HARRY POTTER!' across the playground, and sometimes that got a bit annoying and frustrating. But, you know, that's just part of it. You just have to go with it, I guess. "I got the part when I was 13, and it was 10 years' work from that point. It was a huge part of my life." Despite a bit of teasing from other fighters, Josh appears to have relished his first fight, and is eager to get back into the octagon soon: "It's strangely addictive. I am looking forward to the next one. I'm still nervous, but looking forward to it at the same time. I'm planning to do Rise of Champions 3 in October [and] I'm planning to get another fight in between that." In fact, he's now become an evangelist for the sport, encouraging anyone with an interest in MMA to give it a go: "It's a mad experience. I feel like it would do a lot of people good to try it. Those that might dream about it, it would do a lot for their confidence. You learn a lot about yourself. "It's a beautiful sport," he continues. "Brutal in a way, but it's a beautiful art form. If one person who loves the sport sees that a Harry Potter actor can fight, they'll be like – 'Jesus, if he can do it, I can do it!" More info on Rise of Champions can be found on the promotion's Facebook page.